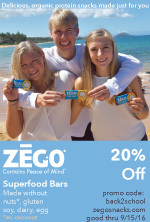 As of today, March 4, 2013, we still love this granola bar which is egg-free, dairy-free AND totally nut-free. They are also artificial flavor-free, preservative-free and hydrogenated oil-free! Going by what the labeling says on both the Harvest Berry and Multi Grain bars, these are both dairy-free (milk-free), egg-free, peanut-free and tree-nut free, meeting ALL of our allergy-free needs. 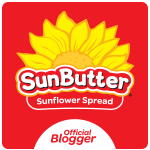 Below you will find the most up-to-date ingredient listing for those who are just hearing about this awesome snack option. 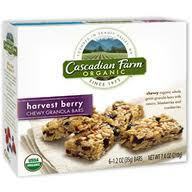 Cascadian Farms Chewy Granola Bar, distributed by Small Planet Food, Inc., Sedro-Woolley, WA. Wanting USDA ORGANIC Certified? You've got that too! The labeling states that these granola bars are 'certified organic by the Washington State Department of Agriculture in accordance with the organic standards of the U.S. Department of Agriculture'. For more information, contact: http://www.cascadianfarm.com/ or 1-800-624-4123. True to the labeling, they are chewy. Even more importantly, they are downright tasty. Try them out and keep me posted on your thoughts.